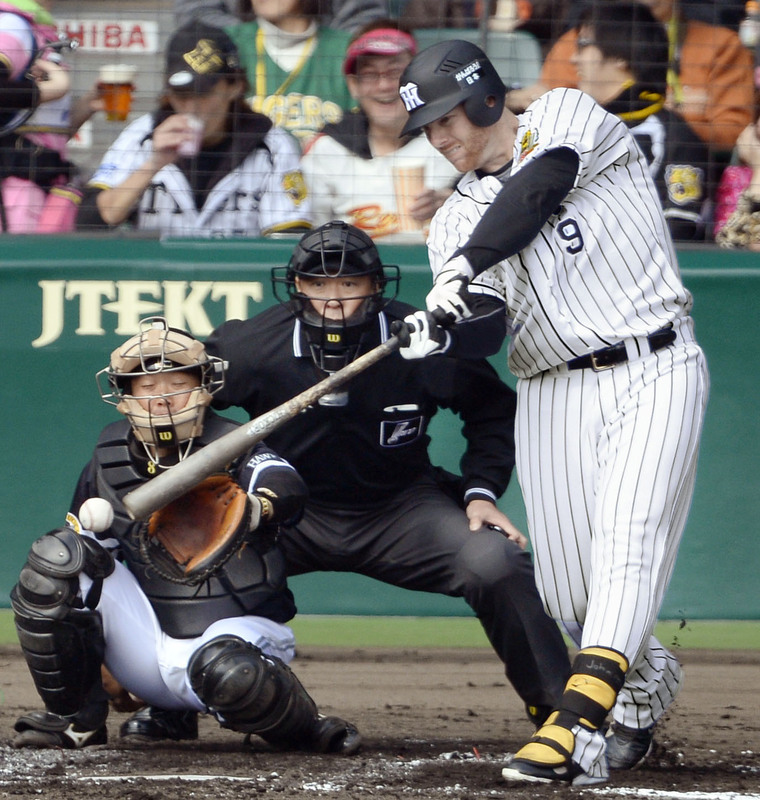 The first of a two-part NPB Preview. Part of the Carp’s slogan for 2015 is “Red Rising,” and that’s exactly what the club has been doing the past few years. Hiroshima has increased its win total in each of the past four seasons. 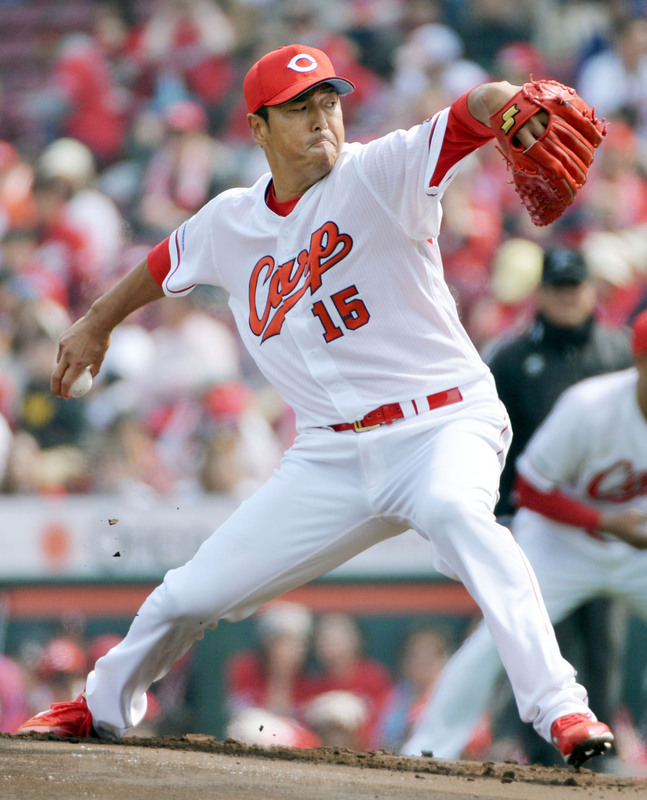 With former ace Hiroki Kuroda back in the fold, Hiroshima fans hope to reach even greater heights this year. The Carp leading the CL in home runs last year might have been a little flukish, but the CL’s second-best offense in 2014 should still find ways to score runs. One thing Hiroshima should do well is get on base. Yoshihiro Maru (who hit .310 and led the CL with 100 walks and tied for the lead with a .419 on-base percentage) is among the best in that category, and Ryosuke Kikuchi and Kosuke Tanaka aren’t bad either. As for who’ll drive them in, a knee injury shelved reigning CL home run king Brad Eldred during the spring. So Rainel Rosario, impressive in a brief stint last year, has a chance to prove himself until Eldred is back, while Ryohei Matsuyama and newcomer Jesus Guzman can help hold down the fort. Tsubasa Aizawa could be Hiroshima’s best hitting catcher in years, and if manager Koichi Ogata finds someone who can both hit and play third base effectively, the Carp’s profile raises even more. Kuroda is back from the major leagues, and ace Kenta Maeda might be on his way there. Maeda is one of NPB’s best and has the talent to produce the type of big “farewell” season Yu Darvish and Masahiro Tanaka had before their own NPB exits. Kuroda looked great during the spring and is probably still an above-average pitcher who brings leadership and stability to the pitching staff and should also set a good example for the team’s younger pitchers. The Carp just need Rookie of the Year Daichi Osera to avoid a sophomore slump and for Yusuke Nomura to begin to live up to his potential. Kris Johnson is a new addition from the majors and will be in the rotation, while Yuya Fukui and Aren Kuri will try to find ways to contribute. The team has also brought back Deunte Heath, but in a new position as the replacement for departed closer Kam Mickolio. Outlook: The Carp could’ve won the pennant last year, but fell flat during the interleague season and also in crucial games late in the year. They’ve been steadily improving and the time might finally be right for a return to the Aka-heru glory days. The spring has been one nightmare after another for the three-time defending CL champions, who were banged up, struggled to find their rhythm, and just plain bad en route to ending the exhibition season with six straight losses. Luckily, that won’t mean much if they get things right once games begin to count. 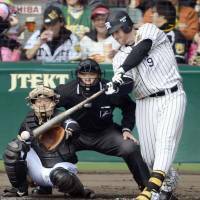 Hayato Sakamoto and Hisayoshi Chono are good all-around hitters with power and speed, but what fans may be most anxious to see, however, is if the move from catcher to first base revitalizes Shinnosuke Abe’s bat. The spring’s Taishi Ota experiment seems to have been a bust, and Leslie Anderson is banged up, so Yomiuri may turn to either Frederich Cepeda — Tatsunori Hara will pray he gets the 2015 Caribbean Series version and not the model that hit .194, though in a brief 132 plate appearances, in 2014 — or Abe to bat fourth. Shuichi Murata had a bad spring, but is a power threat if he gets things turned around, key for a team that might not be the best at getting on bases and creating a glut of chances for itself. The Kyojin also have a little depth, especially in the outfield, which helps. Catcher is a spot where offensive production may drop, no matter if it’s Ryoji Aikawa or Seiji Kobayashi. 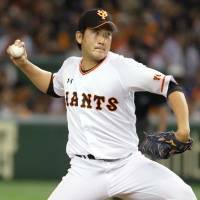 The starting rotation had the best ERA in the CL last season (3.36) but is going to be missing the injured Tetsuya Utsumi for some time. Reigning CL MVP Tomoyuki Sugano has a ton of talent, while Toshiya Sugiuchi and Kan Otake are capable veterans. Kentaro Nishimura may be in the bullpen to open the year (due more to issues there than Nishimura himself), but was scheduled to move back into the rotation this year, while Yuki Koyama showed promise last season and should get another chance to sink or swim. 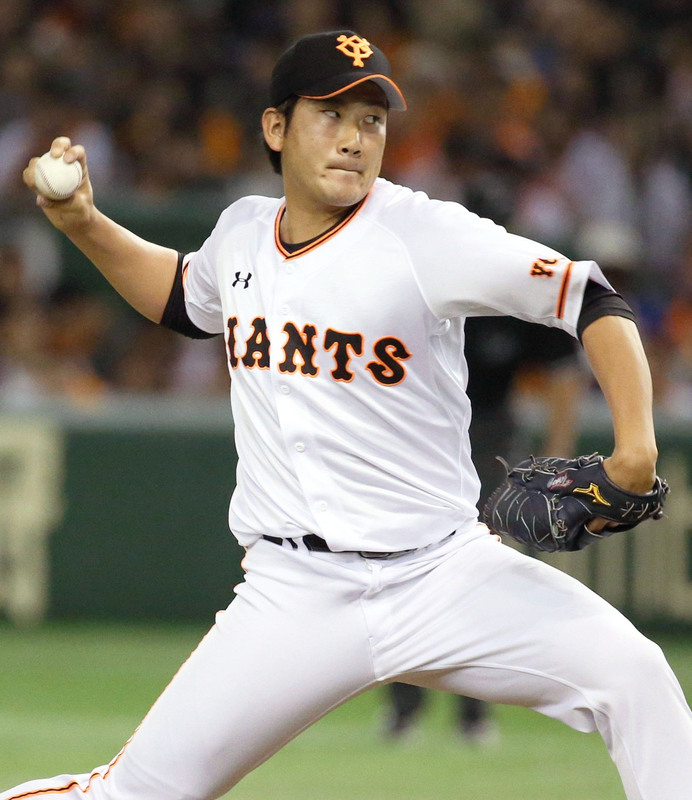 The Kyojin will also lean on new foreign starter Aaron Poreda as hard-throwing Hirokazu Sawamura moves from the rotation to the bullpen to handle the closing duties and is surrounded by good arms in relievers Scott Mathieson and Tetsuya Yamaguchi. 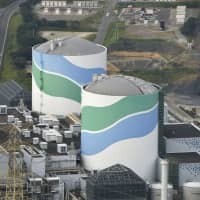 Outlook: Even if it takes a while to figure everything out, Yomiuri is still supremely dangerous when at full strength. Clearing out the cobwebs enough to get there will be the tough part. A lot broke right for the Tigers last season. Mostly, they excelled in close games — 26-16 in one-run contests, 7-3-1 in extra innings — and won just enough overall to edge the Carp for second place in the league and postseason home-field advantage, then got a surprisingly overmatched Giants team in the Climax Series. Fortune smiled again in January, when shortstop Takashi Toritani turned down a shot at MLB to return to Japan. 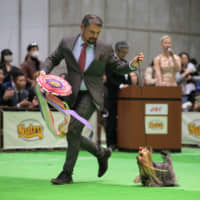 Toritani is Hanshin’s Mr. Reliable, and reigning CL batting champion Matt Murton is right there with him, seemingly always over .300 with a little power to boot. Plus, Mauro Gomez is back after hitting .283 with 26 homers, 109 RBIs and a .209 isolated power rating in his first NPB season. Those were the Tigers’ three consistent performers a year ago. Two who could trend upward are center fielder Yamato Maeda and second baseman Hiroki Uemoto. Manager Yutaka Wada simply needs more than three Tigers to chip in from time to time, even though there may be offensive holes at catcher and third base. Kosuke Fukudome also has to do better than a .253 average and nine home runs. Hanshin got the most out of its starting rotation a year ago, that group producing the second-best ERA in the CL (3.73). Power pitcher Randy Messenger and Atsushi Nomi are quality arms, and this could be the year Shintaro Fujinami really breaks out. The rest of the rotation is more of a question mark. Minoru Iwata is a solid veteran option, while less is known about Suguru Iwasaki and Akira Iwamoto. Hanshin has a very good closer in Oh Seung-hwan, but few truly reliable relievers to get the ball to him with leads. Outlook: The Tigers may be more good than great. 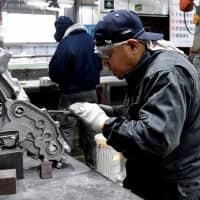 More production from players like Maeda, Uemoto, Fukudome and any signs of offensive life at catcher and third base should help them stay in the hunt for a third consecutive spot in the Climax Series. There was little middle ground with the 2014 Swallows. When it came to scoring runs, they were the best in the CL, leading the league with 677 runs and a .279 team batting average. They were also the worst at preventing runs, bringing up the rear with 717 runs allowed and a league-worst 4.62 team ERA. The Swallows could be a handful for opposing pitchers again. The team’s star slugger, Wladimir Balentien, has been in Japan for four years and has yet to hit fewer than 31 homers in a season. He was predictably comfortable at Jingu Stadium, hitting .312 with 12 home runs and a 1.015 OPS, and also took the show on the road with a .292 average, 19 home runs and a 1.000 OPS in other parks. Tetsuto Yamada exploded onto the scene last year with a .324 average and 29 home runs (and a .215 isolated power rating), and anything close to a repeat is more bad news for CL hurlers. There’s also Kazuhiro Hatakeyama and Yuhei Takai to dance around. Lastings Milledge is back from a shoulder injury and catcher Yuhei Nakamura is a good replacement for the departed Ryoji Aikawa. But scoring runs wasn’t the problem, preventing them was the issue. 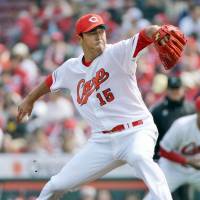 Yakult added free-agent lefty Yoshihisa Naruse, but the potential reward comes with equal risk. Naruse had trouble keeping the ball in the park for the Chiba Lotte Marines in the Pacific League last season and will now be pitching in NPB’s best home run park (by park factor) in a league that features the other two (Yokohama Stadium and Tokyo Dome) in the top three. Yoshinori Sato feels like a new acquisition after missing the past three seasons because of injury, but the fireballer is full of talent and will be a welcome sight for fans if he can make it back to Jingu this year. Ace Yasuhiro Ogawa is the best pitcher and Yakult stalwart Masanori Ishikawa is a crafty lefty who knows how to win. Tony Barnette and new addition Logan Ondruscek will be the main pieces out of the back of the bullpen trying to hold leads and nail down wins. Outlook: The sky is the limit for the Swallows in this year’s CL if they keep hitting, but their pitching might keep them tethered to the ground. The BayStars haven’t been in the postseason since 1998 and are the only team in either league yet to participate in a Climax Series. If success was measured in enthusiasm, manager Kiyoshi Nakahata would’ve guided the ‘Stars to the promised land by now. Alas, it’s still all about the product on the field. Despite playing in one of the best hitter’s parks in Japan, the Yokohama offense was surprisingly inept in 2014, finishing last in team batting average (.253), on-base percentage (.317), and, more importantly, runs (568). They were also fourth in home runs (121) and fifth in OPS (.700). One of the few things to look forward to is having Yulieski Gourriel around for most of the season after the Cuban hit .305 with 11 home runs and 30 RBIs in 62 games in 2014. The BayStars also brought in Jose Lopez, and he may find Yokohama more to his liking after a suffocating year with the Giants. Yoshitomo Tsutsugo hit .300 with 22 home runs last season and looks poised for big things, while Takayuki Kajitani has good all-around talent. Yokohama got a lot of mileage last year out of a pitching staff that’s usually a weak spot. The BayStars had the CL’s pitcher of the month four times (Shoichi Ino, Daisuke Miura, and Shun Yamaguchi twice) for the first time in their history and all four are back. Yasutomo Kubo didn’t garner any monthly honors but was the most reliable starter, finishing 12-6 with a 3.39 ERA. 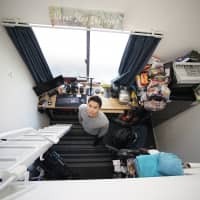 Ino had a lot of his warts covered by uncannily timely hitting and has room to get better while fans will again wonder how much wily vet “Hama no Bancho” (Miura) has left in the tank at 41 years old. Outlook: Things look better than they did just two seasons ago, the third of three straight last-place finishes. The BayStars have pieces, now they have to figure out how to put everything together. If would be fair to ask if the best days for the Dragons’ key players are all behind them. For instance, player-manager Motonobu Tanishige may have a bright future in the dugout, but if you take only his best results of the past five seasons you get a .256 batting average (2011), seven home runs (2010) and 34 RBIs (2013). He’s not the the only one past his prime either. Chunichi’s bright spots are third baseman Hector Luna, who has a .330/.392/.509 line with 26 home runs and 124 RBIs over two seasons in Japan, though injuries limited him to 212 of a possible 288 games. Then there’s Yohei Oshima, who hit .318, stole 28 bases, and is also valuable in center field. Forty-two-year-old Kazuhiro Wada’s apex is in the past, but he was productive last year before being lost to injury and the team just has to hope he has something left. Infielder Masahiko Morino is still hanging on to his glory days at 36, having hit .288 with 13 home runs and 86 RBIs while being an above-average first baseman. Outfielder Ryosuke Hirata could also give Chunichi a nice season. The Chunichi rotation hit more bumps in the road than usual last season on the way to a 3.94 ERA. The Dragons get Kazuki Yoshimi back from Tommy John surgery and Daisuke Yamai and Yudai Ono are good pitchers. Still, pitching coach Yui Tomori will earn his money trying to coax the best out whomever steps up to fill out the rotation. Yudai Kawai is a candidate for a spot along with Kenta Asakura, Tatsuro Homada, Tomoya Yagi and perhaps rookie Ryosuke Nomura. Outlook: The Dragons have veterans who know how to win but are also losing a step as they get long in the tooth. Chunichi could compete out of sheer muscle memory, especially if the pitching delivers, but player-manager Tanishige has his work cut out for him again.